The new adventure styled REV'IT! Sand Gloves have come in and the production version looks great. All we had previously seen was a pre-production sample. I am a fan of the move to go black / safari vs black / silver. The production version also has some nice finishing touches on the palm. 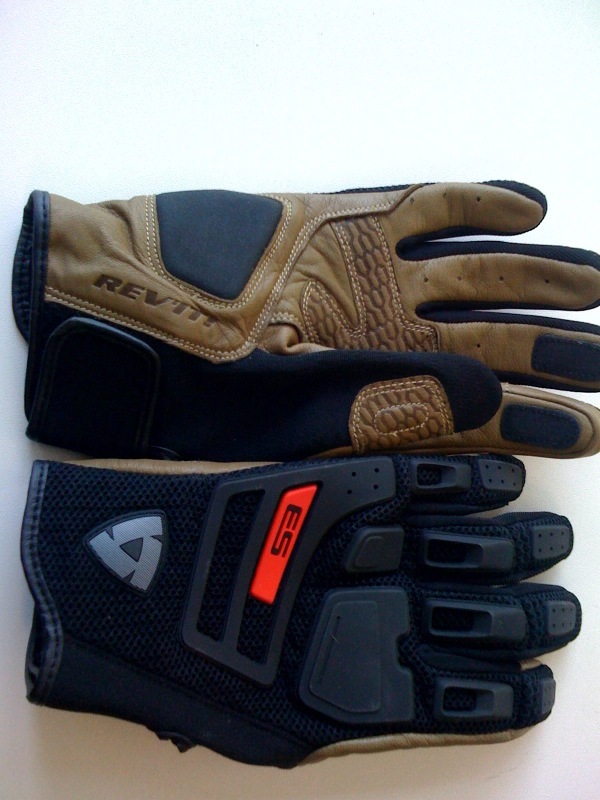 They are mesh based, lightweight ad functional; geared toward warm weather dualsporting.